It's 'take two' for the Samsung Omnia 7 software update. 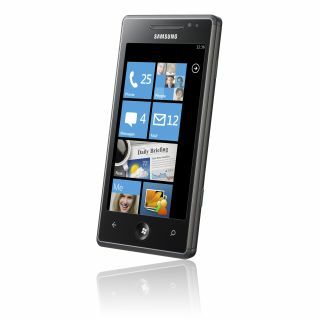 Microsoft has resumed rolling the first Windows Phone software update out to Samsung handsets. Following reports of some users' phones being bricked by the installation, Microsoft removed the update for Samsung phones last week, but now feels ready to give it another go. Although Microsoft claimed that only 10 per cent of users experienced a problem updating their handsets, many reported stuck updates and bricked handsets that were completely unusable. The company appears to have fixed the issues that were playing silly beggars with Samsung's hardware. Microsoft's Michael Stroh said in a blog post addressing the issues, "During the past week the engineering team has pinpointed and fixed problems that were preventing a small percentage of Windows Phones from installing the February software patch." There's not much reward for all the drama that this update has brought though; it's simply a patch to make future updates easier to install.